Question 1: What pointed your focus in nutrition to Parkinson’s? Was it a personal focus for a loved one or a need that you saw that had to be addressed? I discovered a need that had to be addressed. In university, we studied medical nutrition therapy for heart disease, cancer, diabetes, stroke, and many other conditions; also food-medication interactions, of great importance for dietitians. After graduation I offered free counseling at our senior center, and a gentleman asked if there was any special diet for Parkinson’s disease. In seven years of study I had never heard of Parkinson’s disease, so I said I would do some research and get back to him. What I learned on Medline was staggering. There was a vast array of nutritional obstacles, including a major food-medication interaction: levodopa and protein. Yet there were no nutritional guidelines, either for patients or health professionals. 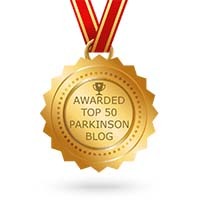 I determined to narrow my focus to Parkinson’s disease alone. 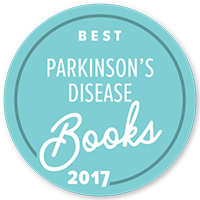 In the process, I coauthored research, wrote two manuals for dietitians as well as books for people with Parkinson’s and their families, and contributed to two physician’s manuals on Parkinson’s. Currently several of us are petitioning our parent organization, the Academy of Nutrition and Dietetics, to include Parkinson’s Disease as a condition requiring nutrition therapy. If successful, insurance coverage might be a result as well. Question 2: What should every person with PD know about diet and this illness? Karl: Maybe, you can list a few suggestions. For me, I noticed that my meds efficacy and my digestion improved from being a long-time vegetarian. I discovered that my pills activated faster when I took them with caffeine and that Not until I visited Hawaii did I find out that Macadamia nuts were a natural laxative. These were helpful tidbits that I had to find on my own. Kathrynne: Karl, you’ve hit on one of the most important points. Medication effectiveness, digestion, and constipation are concerns for almost everyone. But the solutions can be quite different from one person to the next. And no one knows you as well as you do, so it’s important to be your own detective, and learn what works best for you. But here are some points to consider. For constipation, besides fluids and a high-fiber diet, some foods that can help include, as you note, macadamia nuts, kiwifruit, cashew nuts, cooked prunes, beets, flax seed, whole grains, and well-soaked chia seeds. You’ll need to experiment to find what works best for you. For those using levodopa, some people report that taking it with a carbonated drink such as seltzer water speeds its absorption. It’s also important to take levodopa 30 minutes before meals containing protein, so it can dissolve and enter the small intestine for quick absorption. Do not take it with, or right after, meals, because the stomach hasn’t emptied and the levodopa can’t pass through to the small intestine. Also, because Parkinson’s can slow the motion of the gastrointestinal tract, it can take 90 minutes or longer for the stomach to empty. If it doesn’t seem like your levodopa is effective, it may be due to slowed stomach emptying, a question to discuss with your doctor. Question 3: We are all very different in our symptoms, medicines, and stages of illness but is there a universal truth that can benefit all our diets? Yes. It’s important to realize the value of whole foods, as opposed to vitamin and mineral supplements. Parkinson’s is a stressful condition, and stress, along with other conditions, creates “free radicals” – very reactive particles that cause damage in the body and brain. But antioxidants stabilize free radicals, making them harmless. Foods are a much better source of antioxidants than supplements, because foods contain substances that support each other and make the antioxidant more effective. For example, a Brazil nut contains vitamin E, which you can also get from a pill. But the Brazil nut contains the entire array of tocopherols and tocotrienols that make up vitamin E, and it also contains selenium, an antioxidant mineral that works with vitamin E, forming an antioxidant combination much more powerful than either one alone. Vegetables, fruits, and nuts are rich in antioxidants, as well as fibers that both help prevent constipation and serve as food for our “friendly bacteria” known as the microbiome. Some good examples are berries, grapes, plums both fresh and dried (prunes), carrots, beets, blue corn, broccoli, pecans, bell peppers. Another excellent food is fatty fish, such as salmon, for omega-3 fatty acids that benefit the brain. Question 4: It is believed that Parkinson’s disease begins in the gut. Have you seen diet make an impact on your client’s symptoms as well as progression? It seems likely that PD may begin in the gut via the vagus nerve, which is a pathway from the digestive tract to the brain. In an analysis, researchers found that individuals whose vagus nerve was severed were at a much lower risk for developing PD. But scientists believe that there are likely to be other causes besides the gut-brain pathway. Some also theorize that unhealthy gut microbes may communicate to the brain by way of the vagus nerve, and that maintaining a healthy microbiome might lower risk of PD. Regarding diet’s impact on PD, yes. Persons with PD who turn to wholesome, nourishing foods, have offered such comments as “digestion has improved,” “PD symptoms have lessened,” “depression has lifted.” It appears that with a good diet, medications can be more effective, and there is a general sense of improved well-being. It’s possible that this could be due to nourishing the gut microbiome – the colony of microorganisms that live in our gastrointestinal tract. We now know that dietary fibers are food for these beneficial microbes, keeping them in good health. They can then communicate with our DNA to influence our health. A healthy microbiome appears to help prevent the inflammatory bowel disease and irritable bowel syndrome that so often plague people with PD. It fights cancer, and may be a factor in preventing some types of depression. Some strains produce a dopamine byproduct that is associated with better mental health. But they need to be fed the proper food – dietary fiber – in order to do their work. That’s why whole grains, vegetables, and fruits are so important, and why refined flour and sugar and highly-processed foods are so harmful – they leave nothing for the microbiome to feed on. I recommend eating a variety of whole grains, vegetables, and fruits, because each has different fibers, and the various types of microbes each need their own kind of fiber. Question 5: What should we be avoiding in our diets to get the most from our food and to assist our medications? I would avoid what I call “anti-foods” – those that are made from refined, highly-processed ingredients like white flour and sugar, hydrogenated fats, and artificial colorings and flavorings. Many of the ready-to-eat frozen meals and canned soups fall into this category. Also, as much as possible I would avoid produce grown with herbicides and pesticides in favor of organically-grown produce. There is a growing association between pesticide and herbicide use and risk for Parkinson’s disease. Organic foods are often more expensive, but the Environmental Working Group posts a list of foods that are the most and least contaminated. See their website: https://www.ewg.org/foodnews/summary.php Good food will never let you down. My thanks to Kathrynne Holden for making this interview possible. I am very appreciative that she shared so much great information on diet and Parkinson’s disease with us! I hope you find this interview helpful. Eat Well! Kathrynne Holden, MS, RD (retired) is author of “Eat Well, Stay Well with Parkinson’s Disease,” “Cook Well, Stay Well with Parkinson’s Disease” and “Parkinson’s Disease and Constipation (CD)” See her blog at nutritionucanlivewith.com for more on nutrition for Parkinson’s disease. Trust, faith, hope, and diligence are four key components to seeing your way through any health challenge. Personally, they have made my 30 years with Parkinson’s disease more than just sustainable. Living well with Parkinson’s disease takes a variety of skills that must be honed and used. Before I get to trust, let me express the essential weight that faith and hope play when facing illness. Without faith and hope our internal drive shuts down and leaves us vulnerable to only worsen our condition. We all need to visualize a path for our future, whether it is a leap or a small step. Your path is yours alone and only you can determine the scope of your vision. When I speak of trust, I mean the belief in oneself as well as believing in others. Trusting that if we follow our gut, listen to our inner voice, and do what we know in our head/heart is a big part of making a good decision. There is much more, though. When it comes to making an informed decision about your medical condition, it is best if you’ve done the research as well. You may want to consult those around you for their opinion. Trusting your doctor’s decisions, his or her pharmaceutical suggestions, surgical outlook, or any other decision will require your educated consent. You have the free will to reject or accept your doctor’s suggestions. Trust can only go so far when questioning your doctor. You must weigh the pros and cons of the proposed medicines and possible procedures. Providing cogent reasons and facts for why you are adamant about going against a doctor’s wishes needs to be thought out and be thoroughly researched. Depending upon the severity of the recommendation, a second or third opinion may be needed, despite the trust. Diligence means making use of your time and taking care of yourself. There are things that you can do for yourself that even your doctor can’t. Maintaining a healthy lifestyle and keeping a schedule take discipline but can be very helpful when structuring your day. If you take medicines every day, structure is crucial to stay on time when administering medicines. There was a time when we didn’t question our doctor’s advice, but with greater access to information and a better understanding of therapies, nutrition, exercise, diet, meditation, reiki and more, there is real opportunity to work with your doctor. As a constant seeker of information about improving your condition, you become a resource for your doctor and are empowered with knowledge that may unveil new options for your future. Parkinson’s is Still a Mystery! In Norman Cousins’ book, Anatomy of An Illness, Cousins mentions a placebo study where over eighty percent of the Parkinson’s patients showed improvement. Participants in the study were told that they were receiving a powerful new drug. The pill that they were taking was not a new drug, but the expectation of benefits was strong enough to show improvement. If Parkinson’s is degenerative, wouldn’t you think that the placebo effect wouldn’t work anymore? How is this possible? Two years ago, after having Parkinson’s symptoms for over thirty years, I experienced twenty-four hours without showing symptoms of Parkinson’s disease. I don’t understand, and I am not so sure that the medical community can explain such an event! If those neurons that supposedly are dormant, dead, or erased, then someone needs to explain to me how a placebo effect and a Parkinson holiday are still possible! This is a tricky illness that manifests slowly and often very secretively. Often, the first symptoms may be constipation, loss of sense of smell, shoulder or wrist pain, or neck pain. The latest research points to the gut as being the key culprit for the beginnings of this illness but is Parkinson’s more than one illness? By all the discussions that I have had with experts (many of those living with Parkinson’s and many working in the Parkinson’s disease field), who confirm their belief that it is very likely that we may be dealing with a variety of different illnesses. A common saying in the Parkinson’s community is that “if you’ve met someone with Parkinson’s then you’ve met someone with Parkinson’s “, meaning that everyone with Parkinson’s is unique. The uniqueness of each and every case and how different each individual deals with a variation of symptoms keeps both patients and their neurologist guessing how to countermove. Balancing the right diet, maintaining a challenging exercise regimen, and working closely with your neurologist for the right personalized plan are vital pieces to staying on top of my Parkinson’s. We all may respond to something completely different. The key is to discover what the something is that makes that difference for you! The Magic isn’t gone, but it is fading fast. The art of magic will never die, but it may become blurred, as new technology replaces the beauty and purity of performance magic. Live magic is just that—it’s magical. When performed correctly and the magician has done his job, the participant feels that the impossible is, possible. Some magicians embarrass or make their audience feel stupidly duped. The magician is meant to impress but not to break the bond between audience and performer. Magic is for everyone: young or old, there is a place to appreciate the grace and fluidity of sleight-of-hand. One should appreciate the trickery of the eyes and misdirection. Cleverness is worth recognition! The sad reality is that the neighborhood magic store has rapidly gone away for good, only to be replaced by the video game. This dying art has a long history, reaching back to ancient Egypt and possibly even longer. To lose the joy that this art has sprung on so many, and for so long truly is a tragedy, indeed. I hope that as generations and technology continue to evolve, that the creative minds of those drawn to magic can continue to update and improve upon the wonders of magic. Magic can be reinvented and re-introduced to new audiences in novel ways as materials and new innovations appear. -Magic makes you think in order and organized linear steps. -Magic forces the performer to communicate, socialize, and be more outgoing. -Magic helps improve eye-hand coordination and joint flexibility. -Magic is universal. Magic is entertaining. Magic is sheer fun. -Magic doesn’t feel like therapy, but maybe it is! Walt Disney is quoted to have said, “It is fun to do the impossible!” Magic is about making the impossible, possible, even if it’s just for a moment. 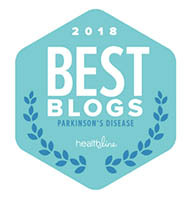 If you are a frequent reader of this blog or have read my books, you know that I talk a great deal about the impact that I believe stress plays on Parkinson’s disease and the related symptoms of the illness. Make note, I am neither a doctor nor am I a clinical researcher. I have recently found this fascinating research showing signs of scientific evidence to validate more of what I have experienced and believed to be true – stress may have a significant role in Parkinson’s. I have seen benefit and strongly believe that if you are able to lower your stress level, you can improve your symptoms of Parkinson’s disease. There has to be a logical reason why when many of us go on vacation or get deeply involved in a project that engrosses us, we sometimes see improvement in our condition. How often do you find that when your stress is lower you have unused medication at the end of the day because you found that you didn’t need it? Does this happen to you when you go away to a place less full of stress, like the beach or the mountains? If stress does play an important factor in neurological disorders, and it looks very possible, then the science of stress needs deep exploration—quickly. I encourage you to read this paper online and judge for yourself. I think that you will find some observations that need further investigation. Tomorrow, James Parkinson‘s essay will be 200 years old. Since his discovery, modern medicine has made strides with L-Dopa and Carbi-dopa breakthroughs that have become the long-standing gold standard of regimens. Not to diminish the importance of the Levadopa breakthrough, but that was over a half a century ago. New drugs and procedures are slowly trickling out, but no one drug that I know of has impacted Parkinson’s disease as that of L-Dopa. To this very day, since my 1991 diagnosis, I have found benefit from this most amazing life-changing drug. I am very lucky to report that my dosage, even after all this time, is a lowly 3 pills (25/100) a day. I aim to keep my pill consumption to the utmost minimum, but only time will tell. I am hopeful but impatient as I plead with any pharmaceutical company, researcher, doctor, or anyone connected with creating new innovations to the neurological world that a huge need is there, right now, and an escalating problem that will impact so many. I would offer detailed numbers, but at this time, as we have no hard numbers, for lack of a registry devoted to Parkinson’s patients, the numbers just aren’t gathered, yet. On World Parkinson’s Day (4/11/17), like millions around the world, I will be participating in #UniteForParkinsons. Please join us to spread awareness via social media to the world about Parkinson’s disease. Visit https://www.worldparkinsonsday.com/#world-parkinsons-day for more information!